Freebie: Epic wants to convince potential users that its new digital game storefront is worth using, and it's using one of the oldest tricks in the book to do so: the promise of free stuff. If you sign into the Epic Games Store anytime between now and December 27, you'll get a copy of Subnautica for the low, low price of $0. Never heard of Subnautica before? Here's the gist - it's an open-world (or open sea) survival game that takes place almost entirely underwater. You take on the role of a human whose spaceship (known as the Aurora) has crash-landed on a strange, hostile alien world covered by a massive sea. 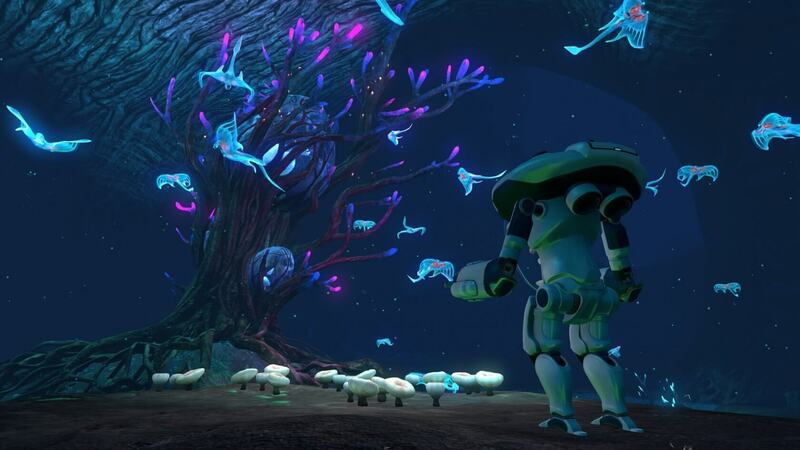 You'll have to collect resources, construct submarines, and face off against (or study) the planet's mysterious life forms to survive and hopefully escape. Epic isn't just offering a free trial of the game. So long as you grab the game before the free window expires, it is yours to keep. The only thing you might want to be aware of is that the game likely will not run unless the Epic client is also running (much like many Steam games). For those who are not up-to-date on all things Epic, there's even more good news: the company will continue to pump out these free games through its Store every two weeks. If the current offering is anything to go by, they aren't going to be obscure or low-quality titles, either. Subnautica is ordinarily around $25, and it has "Overwhelmingly Positive" reviews on Steam, so you're getting a pretty good deal. The next game on Epic's gift list is Super Meat Boy, a punishing, side-scrolling platformer that rewards only the most patient and determined players. Its free period kicks off directly after Subnautica's, on December 28.